My complicated relationship with libraries dates to my childhood. I love books, but sometimes returned them late feeling a naughty child under the librarian’s stern gaze. Last December, when I tried to borrow books, I realised a freeze was placed on my library card. Internally I groaned. At the library desk, the librarian suggested checking my online library record. Behold 23 books; three months overdue. Over $1,000 in fines. I am outwardly an organised student, but library books were last the last thing on my mind as I struggled to appear normal and in control. During a three to five year PhD it is probable that you or a loved one will experience a crisis. In 2016 my daughter called from Brisbane to say that she was sick in hospital. I flew from Sydney for a few days that morphed into a month, while tests and a diagnosis of Stage 4 lymphatic cancer was made, followed by operations and chemotherapy. I turned back into ‘Mum’ again, and my PhD was shelved. While in Brisbane a library email notified me of an overdue library book and fine. It took several emails to clarify that I was stuck in Brisbane and couldn’t return the book. Despite this, I received an email declaring my leave without pay could not be processed until the library fine was paid. I was unable to resolve my leave without paying a fine which I felt was unwarranted. Eventually with help from my supervisors and HDR manager we sorted it out and no fine was applied and my leave was approved. My daughter and her partner returned to Sydney and lived with us while her aggressive treatment continued for four more months. It was an awful year and hard to make sense of a healthy young woman becoming a cancer patient. In November, I attended a Courage and Renewal retreat to ready myself for the coming year of interstate fieldwork. Over a retreat lunch I reflected on the hospital treatment and how confronting the experience had been. A fellow retreater was a cancer counsellor. She gently asked “When is it going to be your turn to fall apart?”. I thought I’d handled the year well. Staring at the library fine the following month I realised my unconscious had other plans. After returning the books, I visited the library to mitigate the situation. The desk librarian seemed sympathetic and he twirled his computer around suggesting I email the library. Fighting an urge to procrastinate, I emailed explaining what had happened, that I knew I was in the wrong and asking if the library would waive the fines. Back at university, once I started speaking about my daughter’s illness, other students shared their adversities. I was amazed to hear stories from PhD students: mental health issues, sickness, hidden disabilities, sick children, of parents, friends and siblings who died during their PhD, relationship breakdowns and how these events had impacted their ability to concentrate, research and write. We are scholars AND we have a life that claims our attention outside the academy. How to support a PhD student in need? Small kindnesses count. A hug, a card, a supportive email, a bunch of flowers, a short telephone call, sharing a cup of tea – all make tough times less alone. My HDR Mentor friends were there to listen and I attended mentor events such as dinners and meetings, which were comforting. Many staff sent supportive emails. My PhD friends kept in touch via email and phone. It was a lifeline in a dark time. When I returned after five month’s leave sitting on my desk was a “care package” my PhD buddies had gathered, with a candle, biscuits, chocolates, teas and even porridge. I felt wrapped with care. When a PhD colleague looks sad, “disappears”, dresses with less care, behaves out of character, ask “how are you travelling?”. Be prepared to hear uncomfortable things – don’t give advice unless asked. Discuss what things might help them and that might include seeing a counsellor. In my case, I hated people reassuring me my daughter was “lucky”, because she would be cured of cancer. Their comments negated what she had endured and what we had witnessed. The impact of adverse events can linger. I still get teary when I see someone with cancer who has no hair, or view photographs from my daughter’s time in hospital. It was hard returning to PhD routines and particularly fieldwork, as mine involves interviewing refugees, whose stories can be harrowing. I call on HDR administrators to have courage to apply compassionate rules and ditch the red tape. The last thing I felt like doing from a hospital bedside was emailing the library, filling in leave forms and providing evidence from busy doctors that the cancer was real. Who makes this kind of story up? I dreaded the forms. Instead of a form, my daughter’s university, trusted that she was telling the truth, did not ask for evidence, wished her well and said they looked forward to her commencing her masters in 2017 instead of 2016. When I emailed the library asking for my fines to be waived I had no idea what to expect. Afterwards, over lunch with a PhD friend, we discussed how incidents like the library fine can tip us into despair. Then my phone rang, a friendly voice, a library manager – he had waived the fines. I was touched that he called rather than dispatching an impersonal email. What a difference speaking to a person and knowing their name. The next day he emailed saying I was free to borrow again, and wishing me a lovely end of year break with my family. An act of kindness, inviting me to reimagine my relationship with librarians. The library manager saw beyond 23 overdue books, and acknowledged a person in need, rather than a student to be punished. I’ll be forever grateful. Postscript: Phillipa’s daughter has now recovered from cancer and is studying on a master’s program at an American university. Phillipa is returning books on time and completes her thesis this year. She and her family are living their best lives. Thanks for telling your story Phillipa – I’m sure it resonated with others who have gone through similar situations. How about you? Have you faced a crisis which impacted your ability to study? what helped you through? This entry was posted in Getting things done, Miscellany and tagged crisis, self cafe. Bookmark the permalink. Thank you for this wonderful article. I too have had interruptions to my studies- major surgery, nursing my mother through cancer surgeries and supporting our son through year 12. I am now in the process of trying to finish my first draft of my last chapter. I just need to get the thing done! Hang in there! I know how it feels, as I have just submitted my thesis last week after 7 years. Just a little bit more, you have come this far. Take a break, but don’t give up. Once the thesis is submitted, the burden is off your shoulder, even if the examiners would like revisions to be done afterward. Hang in there! You are so close and have done the hard yards. Imagine the floppy hat being placed on your head and how proud you and your family will be. Good luck. This has to be the best post I have read. Thank you so much. It’s called life. It gets in the way, it’s annoying, frustrating, very depressing at times and wonderful. And, you are absolutely right; it is the little things that matter. A simple and genuine “how are you” can make your day. Thanks Sonya, you are so right about the primacy of ‘life’. Best wishes with your journey. Thanks for the post, Phillipa. I believe that almost every PhD student will go through some sort of crisis while completing their PhD – our lives don’t stop while we study! For me, my mother was diagnosed with ovarian cancer, which she passed away from after almost 4 years of treatment. Generally I was very well supported – while she was diagnosed before I started, each time she had a recurrence I went part time so I could sit with her while she had chemo and be around to spend time with her and look after her. Apart from an unhelpful supervisor those around me went out of their way to help and make sure that I didn’t have to complete endless forms, instead filling them out for me and simply sending them through to be checked and signed. My fellow students often didn’t know what to say, but were supportive and ended up being around for those inevitable meltdowns that occur when someone you love is palliative. All you need to do is be there, ask the simple questions – though I must say I often didn’t know the answer to “how are you” at this time – but be ready to listen to the answers. Often people don’t need you to do anything but just be there to listen. I only went back when I was ready, and my unit was very supportive of me taking as much time as I needed. My advice to others experiencing hardship is to talk to your supervisors and/or HDR coordinators – there are things in place to help you when the s**t hits the fan, and they are those best placed to help you to access them when you need them. Thank you Marissa, so sorry to hear of your mother passing. That is so difficult. Thank you for sharing what helped you in this challenging time. Glad to hear uni supported you and fellow travellers were supportive. I do feel for you- I once ended up with over $1000NZD in library fines because I’d forgotten to return books due to having had a bout of pneumonia and spending a fortnight in hospital. And no, the fine was never wiped as the library was obliged to collect funds owing. So glad for you that life is better. AND that the library understood that life doesn’t play out the way we’d always like. 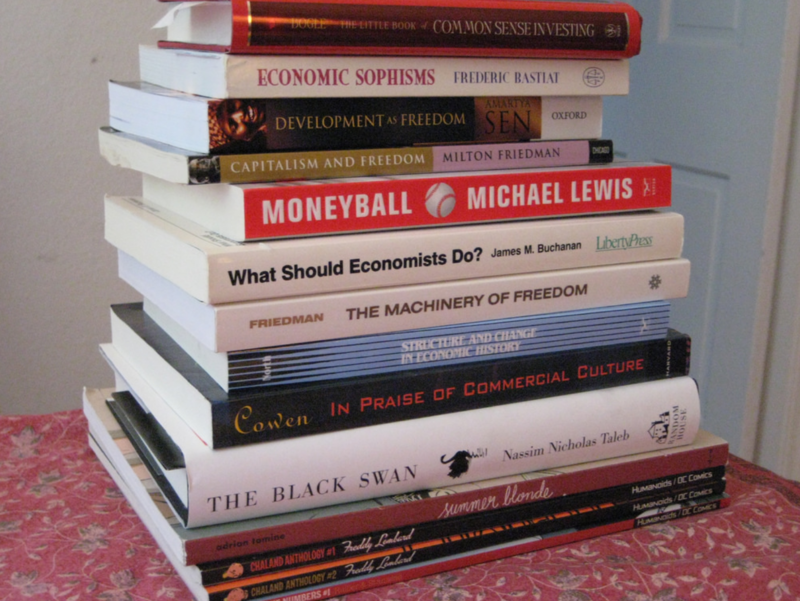 Ooh, no….maybe there is a case for abandoning library fines? Yes, it was a beautiful moment when the librarian understood what had happened and waived the fine. Thank you so much for sharing your story and thoughts Phillipa. Thanks for sharing your story Phillipa. It’s important to put the all-encompassing PhD into a bigger and more meaningful life perspective. I started my PhD six months after a separation from an emotionally abusive relationship. The scholarship supported the children and me as I battled to retain a house for us to live in. I learnt a lot about research, analysis and negotiation from the legal battles. The separation really impacted on my research; emotionally and in the months it took to reach settlement. Yet at the same time it gave me a bigger perspective. If I could manage an adversarial separation, I have the commitment, strength of mind and the vision of the long term benefits for my family to be able to apply myself to a PhD. Thanks Bridgette, yes perspective in the PhD is so crucial and being able to utilise our life experiences deepens our critical thinking. Stay strong. Thanks so much for sharing your story. Boy, did it resonate with me! I have just had the most god-awful year, and am not even at confirmation of candidature. I too have just taken a brief leave to try to get my head back into PhD-Space (similar to, but different from Terry Pratchett’s L-Space ;-D). This is due to a whole series of events that left my life reading like a soap opera: and one of those really unbeleivable ones that most of us would roll our eyes at and say “Pshaw, what a load of cobblers! No one has a life like that!”. Hope the awful steamship takes a 360 degree turn for you. Best wishes. I can relate to the tale of 23 overdue books. I have had three episodes of flu infection within a space of 6 months which greatly impacted my work. Thanks Clement and wishing you best of health. I’m afraid my own experience has not been nearly as good a one, but thank you for sharing. I am now verging on a mental breakdown due to the unsupportive environment I find myself in. Sorry to hear that Maria and hope you can find support either at uni or outside with kind friends, a counsellor or some way to make the journey easier for you. It’s hard. Thank you for sharing your experience and I agree that sometimes just speaking to a compassionate person can really turn a situation around. I am also very lucky to be based at a university that doesn’t issue late fees! Thanks Cath, I wish more libraries would adopt a no late fee policy. While our journey often feels solitary, compassionate support really sustains us. I have just submitted my thesis after 7 years of candidature. Two deaths, one marriage breakdown, two job changes, two car accidents, one surgery, two health scares and one ambulance trip to the hospital, were among the life that transpired over the 7 years. What got me through was, frankly, first of all my supervisors’ encouragement to take some rest but not to give up. I thought if they were willing to stick by my candidature despite not being paid enough to do so (my Principal Supervisor even does it pro bono, as he retired shortly after my colloquium), it must be good enough to fight for myself. They never demanded me to do more than what is enough, i.e. no pressure to present in conferences or to publish, no requirement to produce a perfect thesis. Just ‘good enough’ will do. I am free to be the kind of PhD candidate I can afford to be: one research, one thesis and just the best of what I can do in my slices of time among work, family and study. Secondly, but not the least, is my children who willingly let me have my PhD time year after year, and keenly look at me as I emerged from my study, asking “How far do you have to go, Mommy?”. Since I have given up much time with them to do the PhD, I should not give up. Especially when I realised that being a PhD will not earn me the income and career I had expected, given the massive number of sessional lecturers in universities, I persevered only because I could not live with disappointing my supervisors and letting my children give up THEIR dreams someday. I have a daughter, and that makes this PhD even more unique because I would like her to see what a woman, despite the gender discrimination I suffered in my parents’ household and the broader Asian culture, can achieve with the right attitude and support. Kindness and acceptance that life happens are the two lifelines for me throughout my PhD journey from the preparation in 2011 to the submission on Good Friday 2018. What challenges you have faced and how proud your children must be of you. Sometimes I think the PhD is like a heroine’s journey with ups and downs and tumultuous times. Each person has different challenges but I don’t know anyone who has a smooth sail. Out of it all emerges a stronger person. Congratulations on submitting. Well done! Thank you for sharing your story. I resonate with this firstly because I have had numerous hefty library overdue fines. I am a full-time PhD candidate in her 26th month (Just over 2 years) and have experienced x2 close family member deaths, my husband has faced a redundancy and unemployment for a period, a long stay at hospital for our youngest and often our four young children ages 11, 12, 15 and 17y rotate virus’ during the colder months. I have suffered from mental health issues and given my PhD is attached to a project at a University .. the pressure is enormous to finish. We are barely managing to stay afloat financially but I am not giving up hope. I feel terrible to have started missing key dates for submission of chapters but not giving up. We will succeed. The collective Pasifika culture means I have a host of cheerleaders. It will get done. Sorry to hear you’ve had large library fines. I think there is a strong case to abolish fines and work on supportive strategies to help people return books or understand the complexities that are occurring. Best wishes and so glad to hear your family and community are behind you. Cheers to you from me too. Hi Phillipa – so glad to hear your daughter has recovered and doing so well. I have just picked up a pivotal updated methodologies text from the library for which I have borrowed previously and have incurred fines for. They advised me there is a recall on it already so I only have it for 5 days. I explained that they need to order more copies as a lot of PhD and Masters students obviously need this text as we all play cat and mouse with it borrowing, recalling and gaining fines. I have to do this formally so will do this online. The case for removal of fines, particularly for doctoral students should be a worthy consideration for all postgraduate student associations to look into. Thanks again for the post. You are awesome! Yvonne, I also wanted to say how much I admire your strength in the midst of so much sorrow, health issues and loss. Take care. Congratulations Yvonne! I look up to you and would surely finish my thesis. Thank you for sharing. Phillipa and all of you here in the comments are amazing, and strong. To those who are struggling: you are not alone. Thanks for sharing your stories. Best wishes to you all! Thank you for sharing your experience. I’m glad everyone is well, and the university can support the majority of us who are buffeted by real life. Thanks for sharing, Phillipa. I started writing after I experienced a car accident and didn’t know if I would be able to make use of my PhD. Family support is critical to ensure that whatever we face, we can make it. All the best to you and your daughter. All the best to you too Keisha. Thanks for sharing and yes family is so important and precious. Thanks for you positive thoughts. Your welcome Philippa!do you mind to visit my website? Thanks for telling your story, Phillipa. I was so relieved to read the postscript! I completed my PhD very slowly while my daughter was in and out of hospital, and recently worked through having her off school for 20 weeks. Like you, having nurturing people around me has really helped. Best wishes for the rest of your PhD and beyond! That sounds so challenging. Thanks for sharing Agnes, best wishes to you, your daughter and your family. I’m glad you have nurturing people around you.